Must be in plain english, and I must be able to print the instructions off for future reference ! I cannot pay more than a complement and a hug. How 'bout it Joe, John Boy, or any others? Left click "Copy image location"
Right click and select "paste." Wala! You have done it! Right-click on the picture you wish to post and click "Save As..."
In the upper left-hand corner of your browser, click "New Post"
When it is uploaded, you will see some options at the upper right of your picture. Click on "Get share links." Right click in your post and then click "paste." 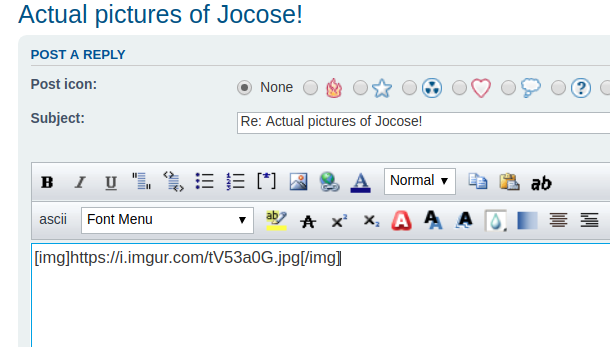 Your image with the proper image codes will automagically be added to your post. Then just hit "Submit" and yer done. Please note that this method does not always work, and will definitely not work if the host website removes the image. I was only wishing to give Peter the simplest, quickest & most immediate way to achieve his purpose w/o Imgur. I was only wishing to give Peter the quickest most immediate way to achieve his purpose w/o Imgur. In your defense, it works most of the time. But it's a rude thing to do. When we post an 'image' on CPS we don't really post the picture. We post a link to someplace on the internet where that picture is stored. The CPS server does not store those images unless you pay for a Gold Club membership. Every time someone here loads the post with the picture link, the internet machine has to go to that other website, copy the image, then bring it back here to display on your screen. We're a small forum, but still, it's rude to use someone else's bandwidth to store our pictures. Perhaps you could pay for everyone here to have this “Gold Card” membership you speak of. I’m in. The committee said no can do. Now this corn boomer needs to know how to upload a photo taken on dig.camera into a CPS post. Picasa is a free, easy to use editing tool you can download. Once downloaded you can just slip your camera's card into your PC and select which photos you want to save to your desktop. Then upload to Imgur and post pics in CPS from there. Sounds tedious I know but once you do it once or twice its a breeze. By 'digital camera' do you mean a real camera or a cell phone? If it's a camera, you'll need a physical connection between it and your computer. Do you have a cable for the camera? Maybe a USB charging cable? Does your computer have a slot for the same type of memory card your camera uses? 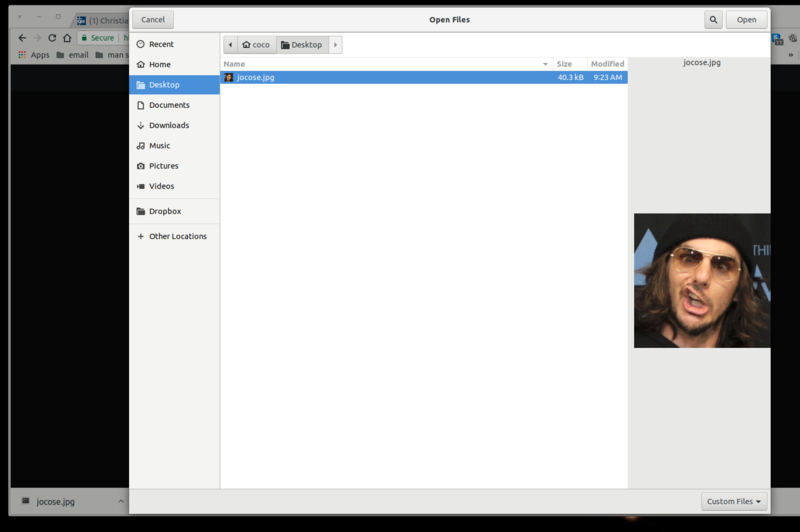 Picasa is a free, easy to use editing tool you can download. Once downloaded you can just slip your camera's card into your PC and select which photos you want to save to your desktop. This all sounds tedious & complicated I know, but once you do it once or twice its a breeze. After downloading Picasa, insert your camera's card into your PC and the card file should open automatically. Left mouse click on the photo you want and when it opens, right mouse click on the photo. In Picassa you can do a lot of things, which you can explore later. For now just go to the top left corner and left click "file." A small drop-down window opens and in there left click "save as." Yet another window will open. Left click "Desktop." and then click on "save as" and then left click "Desktop." 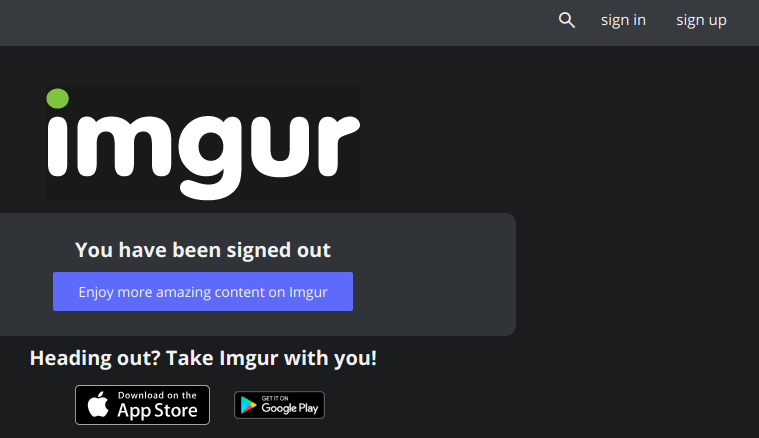 Now, open a new tab and go to Imgur. If you haven't yet created a free account, do so. 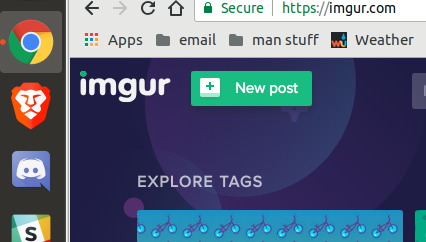 Once you are in your imgur account, in the top left corner click "New Post" and a window will open. Left Click "Browse." A window will open with the contents of your Desktop. Left click that photo you just saved to the desktop. 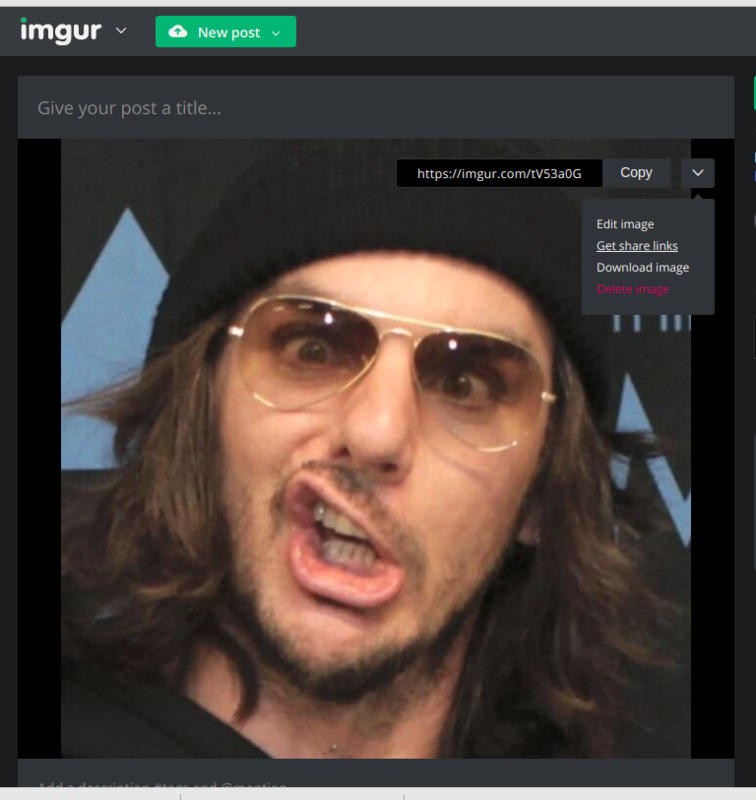 When the image is uploaded and appears in Imgur, right mouse click on the pic and select "copy image location." Now, go to the thread in CPS you want that pic to appear in. Find the icon in the top taskbar that looks like a mountain with the sun over it and left click that. Once you've left-clicked this will appear: [ img ] [ /img ] and your cursor will be blinking in the middle of it. Once that appears, right mouse click anywhere in the post and a small window will open. Select "paste." That does it. Enter any text you want and when you click "submit" & your picture will appear in your post. Goose, you don't need Picasa or any other type of add on program to move an image from your camera to your computer or from your computer to the internet. Coco's post explains how to copy an image from your computer to the internet, now it seems Peter needs to know how to copy/move a picture from his camera to his computer. He needs to get his camera or it's memory card physically connected to his computer. That's assuming that he has his camera set to save images on the card rather than in it's built in memory. It probably is so we can forget about that setting for now. Peter - Is your 'camera' a camera or a cell phone? Does your computer have a slot to accept the specific memory card from your camera? Do you have a USB cable that plugs in to your camera? The truth of the matter is that once you connect your camera to your computer you don't even need to copy the pictures to your computer. Your camera (or it's memory card) effectively becomes just another folder on your computer and - once you find that folder - you can copy files directly from there to the internet picture hosting service you choose. That's right and whole lot simpler. I just use Picassa because it's so much simpler than Adobe Photoshop for editing images. But Peter may not wish to edit images. 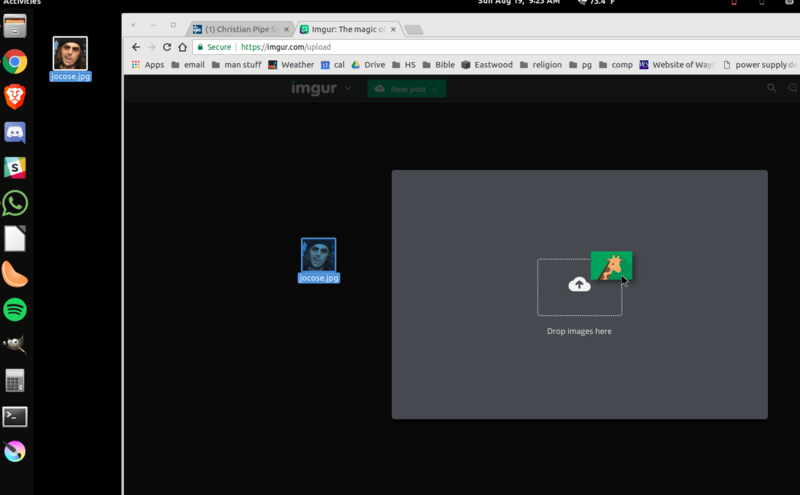 Open a new tab and go to Imgur. If you haven't yet created a free account, do so. A window will open with the contents of your computer. Left click "This PC" or "My PC"
You should have seen a new file appear in that window right afterward insertion. There is where your picture(s) are. Double left click on that icon. Another window opens. It may likely include a file called "DCIM." 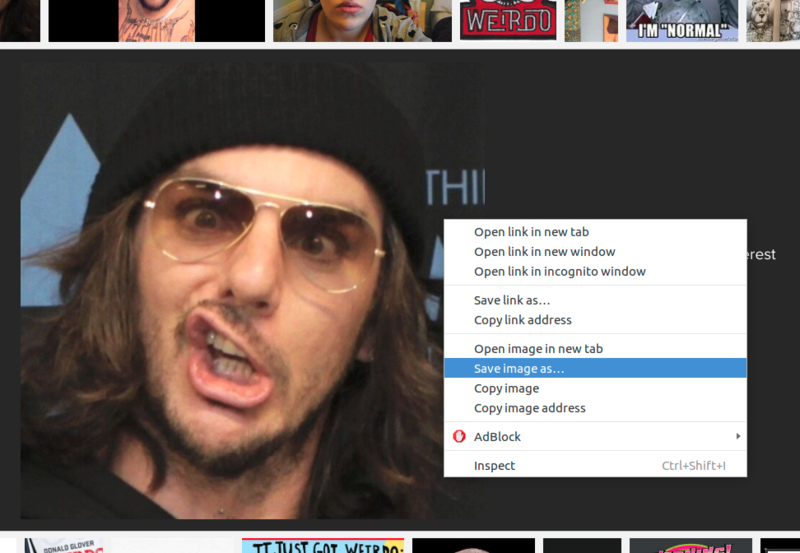 Double left click on that and the card will open showing your pictures. If all you see are a list of icons, right mouse click anywhere in there and a small drop-down window will appear. 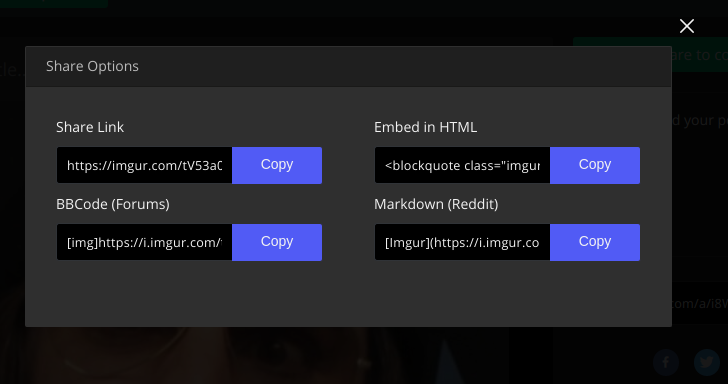 Highlight "View" and then "Extra large icons." Your pictures should now be visible. 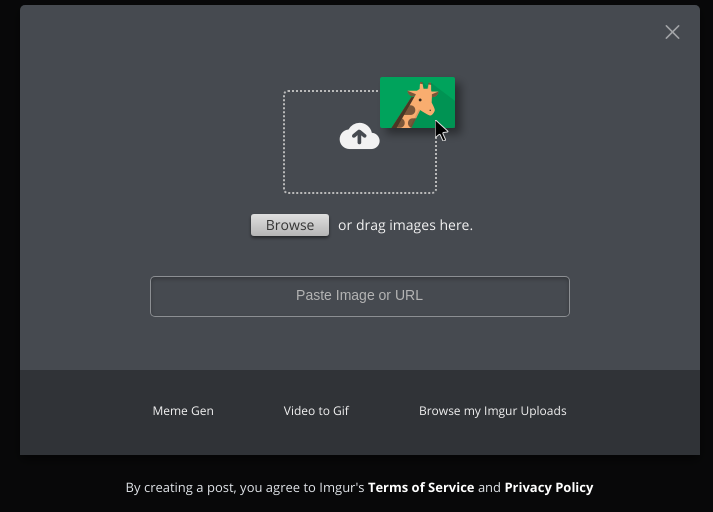 Double left click over the pic you want to post and Imgur should then automatically upload it. Dammit Goose. It's no fun to correct people after they've invited you to do so. TheImpudent called, he said that "Theimpudent is watching"